3D printing is a fascinating form of manufacturing technology, which will without a doubt lead to a revolutionary new way of doing things. In the not-so-distant future, we will be able to drive our kids to the local Wal-Mart or Office Depot to pick up a 3D printer for a school project. We’ll print spare parts at home from downloaded files, or just design them ourselves. Many consumer goods will be printed in small production runs locally rather than mass-produced and shipped from a cheap-labor country. The fields of art, design and architecture will be barely recognizable. Yes, 3D printing will change everything, and for the better. 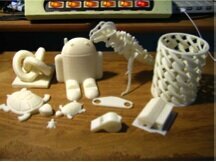 Here’s a summary of some of the ways I see 3D printing changing the world. Currently many engineers, 3D artists and home hobbyists are looking into designing and manufacturing their own products on a small scale. Perhaps a knob on the dishwasher just broke – better create one and print it! Maybe some artists’ children want unique toys. Design one up! Some designers are very serious about developing products at more than a hobbyist level, and 3D printing can help with that too. More and more people are taking advantage of the rising availability of low cost 3D printers and 3D printing services and becoming 21st century makers. As the technology advances and companies like 3D Systems, Objet, and Stratasys get more competitive, and as garage inventors all over the world seemingly create new home 3D printers daily, prices will steadily drop while capabilities rise. First off, the technology I’m going to mention here is still in development, but it is being researched and implemented as you read this. Visionaries like Anthony Atlata are working to develop miracle technologies like organ replication. If Anthony and his team can create simple organs like bladders now, what can happen in 20 years from now? This layer-by-layer manufacturing process is going to be creating miracles in our lifetimes. If you face organ failure down the road, it could be the key to your survival. Maybe in your case, your medical situation won’t require the replacement of a failed organ, but 3D printing could truly enhance your life when your body starts to fall apart. This technology was recently used to assist in the facial reconstruction of a man in Belgium. It has also been used to give an elderly woman a jaw implant. 3D printing has helped with prosthetics and adapters for war victims as well. Perhaps you just need some dental work done, or a new hearing aid. 3D printing is already helping with this now. 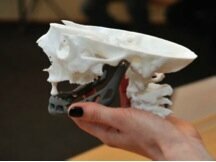 There are a wide variety of new medical applications being created through 3D printing. These applications are not only growing in quantity, but rising in stature. 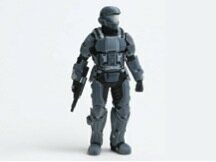 3D printing has the power to truly enhance marketing efforts in a wide variety of situations. For example, our company just completed a job in which a series of valves were 3D printed for sales representatives. Each sales rep can now show a prospective client a three dimensional visual of their products. Giving a potential client a model that they can see and hold in their hands has huge potential; it could be a deal-maker. This applies to many industries, including product development, architecture, or pretty much any industry that involves visuals. Another good example would be Bungie’s marketing efforts for the popular video game, Halo 3. Just a few years ago, an entire warzone was 3D printed in which aliens and humans were fighting on a futuristic battlefront. This model was used in a variety of commercials that seemed to do a good job in presenting the video game. It was enough to convince me to dish out $60 at age 16. 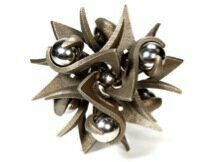 The traditional machining industry is going to be facing some serious competition from 3D printing. A custom machined metal part can take a few weeks to construct, and in many cases is very expensive. However, with 3D printing, the same piece can currently be manufactured in a matter of hours. Designers can simply turn the machine on at closing time, let it run overnight, and ship out the product the following morning. Machining methods are very dependent to the geometrical designs of products. 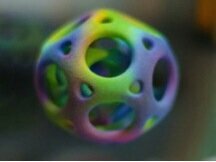 Through 3D printing, designs can implement organic shapes, hollowed centers, and innovative feats in manufacturing such as a ball within a ball and functional parts straight out of the machine! Bottom line – 3D printing will be cheaper, easier to design for, and much faster than traditional machining methods. Anyone with a computer can use one of the many free or inexpensive 3D modeling programs to create their very own custom products. Simple items can be designed without a huge learning curve. If the home designer does not have access to his or her own 3D printer, there are numerous services that the design can be uploaded to and 3D printed, and then shipped back to the customer. If you need something very special, beyond your designing skills, working with designers isn’t too difficult, and 3D printing isn’t incredibly expensive. Artwork has definitely been given a new plot twist through 3D printing. Traditional sculptors and artists are limited to what they can build with their hands and various tools, but 3D printing offers a different way of producing art. When a piece is designed for 3D printing, it can be built to the exact dimensions of a model (at detail levels higher than a fraction of a millimeter) with various curves and shapes that are very hard to replicate outside of this technology. Those who are not traditional artists, in that they are not very good with their hands, have a shot at creating truly creative and beautiful art with their computer and their mind. For example, mathematicians, who are about as distant from artists as can be, can now create formulas and algorithms that produce sculptures that not only are quite possibly impossible to produce manually, but are incredibly beautiful. 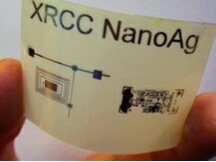 Xerox has recently developed a special type of silver “ink” which melts at a temperature lower than plastic. Silver is one of the key elements to dielectrics, semiconductors, inductors, conductors, and various circuits. With the ability to print silver on to films, fabrics, and plastics, there is a strong potential for paper thin solar strips, adaptable sensors, and a wide variety of circuits — all of which could be printed on to paper thin materials! I’ve written an article on the subject of printing renewable energy that I think is worth a read. With Xerox’s breakthrough in 3D printing, we could be on the path to a new world of green energy within the next decade. Many industries revolve around concept development during the production of movies, stories, and games. Companies like Paramount Pictures and Bungie are getting involved with 3D printing for the creation of characters and designs. Objet and Zcorp 3D printers are great for offering multiple printed colors to design products in, and concept development teams are taking advantage of this capability. 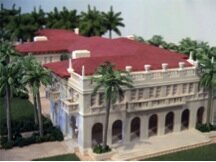 A team of CG artists can create a design, and it can be produced on the same day to be viewed by the project manager. Designers who have access to 3D printers are pretty crafty! Of the various designs that have been introduced within the maker community, many of are for home decoration. Simple products such as ornaments, custom silverware, and candle holders are common. Useful, yet very cool looking gadgets for the kitchen are also being printed. 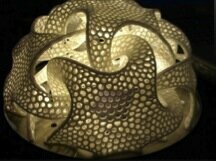 But of all the things I’ve seen for the home, my personal favorite has to be the intricate and incredibly beautiful lamps that have been made through 3D printing. There’s no doubt that 3D printing is beginning to disrupt a wide array of industries today; in fact, if you look into the future far enough, it’s hard to see one that will not be impacted. Perhaps within the next 10 years, we won’t be able to go to the grocery store without coming in contact with this technology – that is, if we aren’t printing food at home by then. Who knows where it will be in 20 years? And, what about 50 years? Time will only tell. All we can do now is to sit back and have our minds blown as we watch the innovation occur before our eyes..
Chris Waldo is a technology enthusiast and copywriter with a focus in 3D printing. 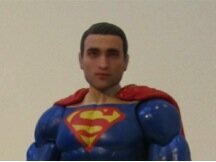 He is currently working as the Content Manager for the 3D printing network, Kraftwurx. Follow him on Facebook or Twitter.